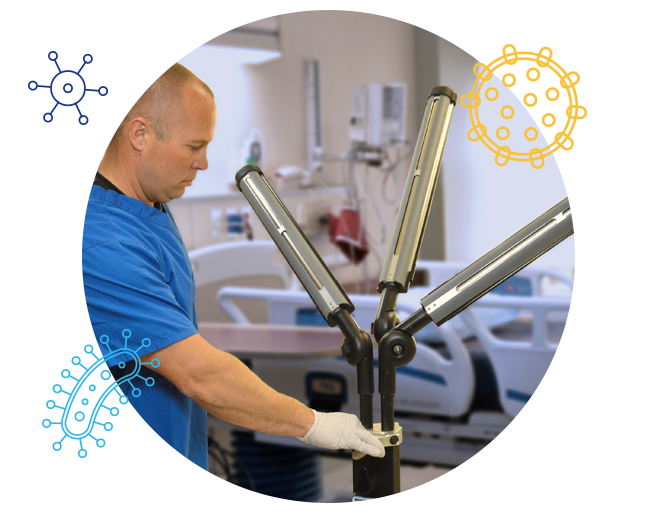 Suited for high-touch surfaces such as the entire patient bed area, operating rooms, bathrooms and fixtures, keyboards, monitors, and work stations on wheels (WOWs). 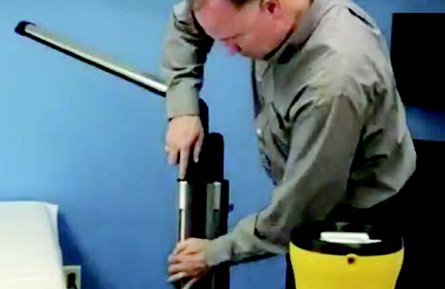 A game-changing angle for targeted disinfection – this portable, powerful UV disinfection system disinfects quickly, reliably and responsibly. 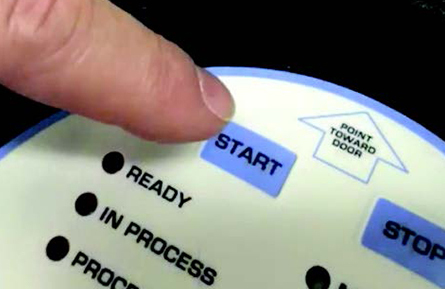 MoonBeam3 users only need to know "The 3-Ps": Plug in, Position heads and Press start. Simply place the remote and the disinfection process is automated. 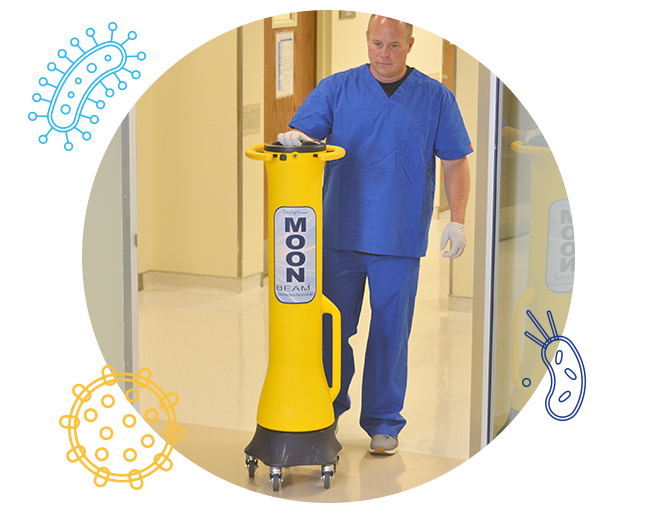 MoonBeam3 is ultra portable, and takes less than a minute to set up, making it ideal for inclusion with environmental services carts and as part of every cleaning and disinfection workflow. MoonBeam3 delivers chemical-free, fume-free pathogen elimination using ultraviolet light (UVC). 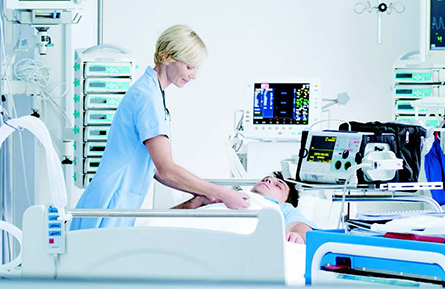 Remote sensing technology shuts down the device if disrupted, ensuring patients, staff and visitors are not exposed to UVC light during operation. MoonBeam3 is affordable to own and operate. It is quick and easy to use, with operation cycles as short as 3 minutes. Maintenance is limited to bulb replacement, with no tools required. At Diversey, our goal is to protect a growing world with sustainable solutions that improve food safety and security. Helping create a cleaner, healthier environment and safeguarding your business against damage and loss.